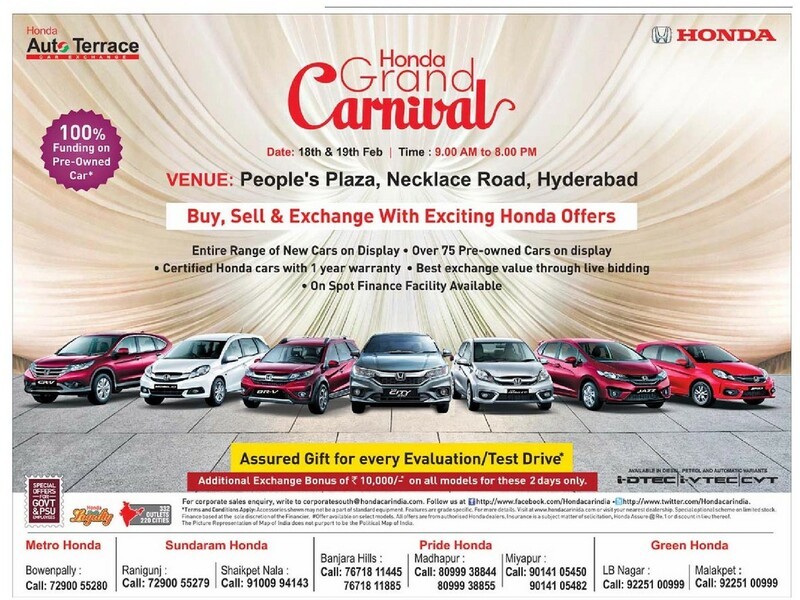 Buy, Sell & Exchange with Exciting Honda Offers. Entire Range of new cars on display. over 75 pre owned cars on display Certified Honda cars with 1 year warranty, Best Exchange value through live bidding, On spot finance facility available. Additional exchange bonus of Rs 10,000/-* on all models for these 2 days only.